The Color Your Season Promo ends this Friday. 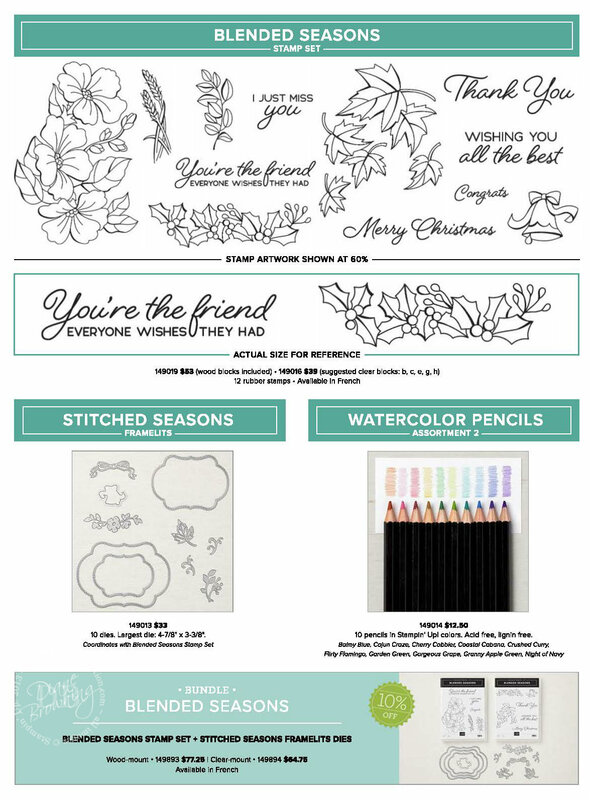 If you were on the fence about getting the stamp set, dies, and watercolor pencils, now if your last chance. I know I mentioned previously that the Watercolor Pencils (Assortment 2) may be available in a future catalog. 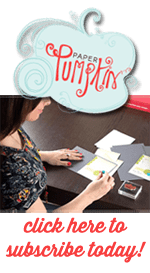 But, Stampin Up just confirmed they will be retiring at the end of this month along with the stamp set. 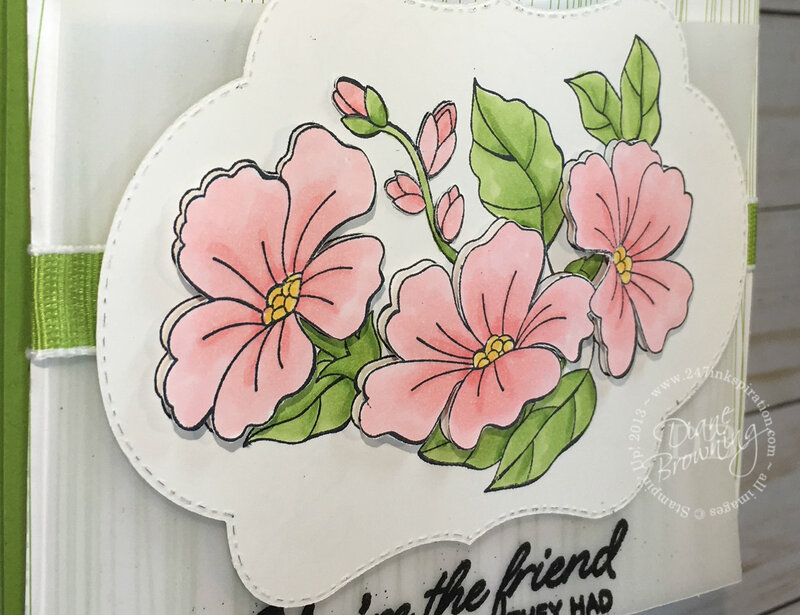 For today’s card, I used our Stampin Blends markers to color the flowers and leaves. The Blends are alcohol markers that allow you to blend two different shades of the same color to add depth and dimension to your image. If you’re familiar with Copic or Spectrum Noir markers, these are similar. But our Blends come in our custom colors, which means they match our cardstock, pattern paper, ribbon, embellishments perfectly. Here is a close up of the flowers and leaves. The leaves were colored with Granny Apple Green, which is the same color as the green ribbon, the cardstock, and the pattern paper. I stamped the image twice, once on the label die cut and a second time on a separate sheet of white cardstock. I colored the leaves that were on the label die cut. Then I colored the flowers on the separate sheet. I hand cut all the flowers and added them to the label die cut with dimensionals to make them look more 3D. Don’t forget to pick up the stamp set and dies by this Friday so you don’t miss out on owning this beautiful stamp set. Our Color Your Season promo is available only while supplies last or August 31st. 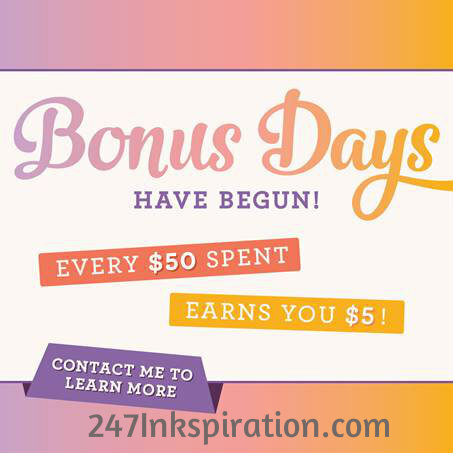 Don’t wait until it’s too late to get these amazing products!